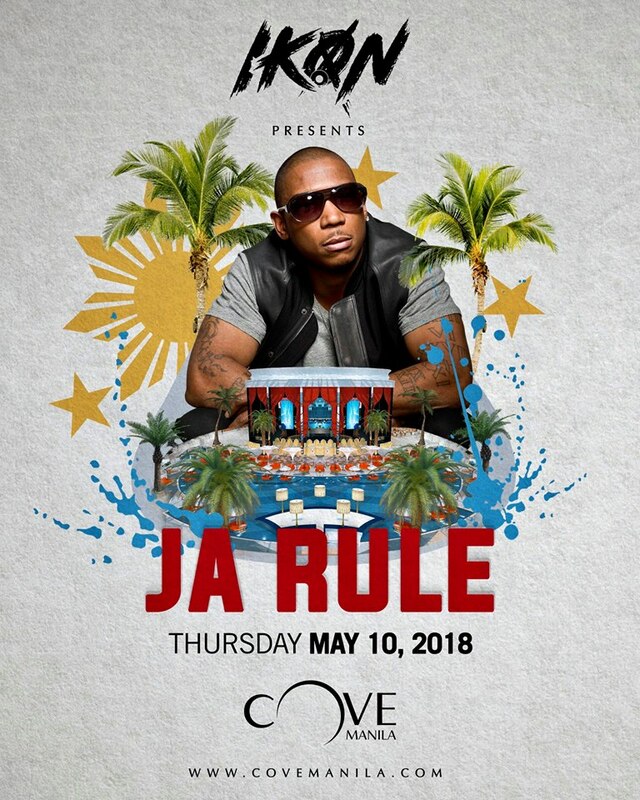 Jeffrey Bruce Atkins, better known as Ja Rule, one of the most influential and successful hip-hop artists in the United States, comes to Cove Manila on May 10, 2018. Enjoy hits that will send you back in time as JaRule returns to the Philippines after more than a decade. Ja Rule started out in the music industry with his band Cash Money Click in 1993 and his career steadily climbed to the top in the early 2000's. He also gained several Grammy nominations and recognition from Billboard Hot 100 for hits like "Always on Time" with Ashanti, and remixes like "I'm Real" by Jennifer Lopez. 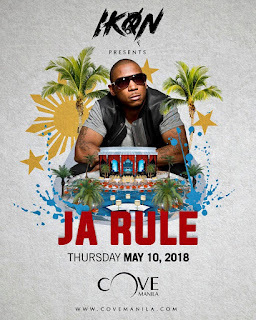 Jam along with Ja Rule as he takes the stage in a throwback to remember on May 10, at Cove Manila. Partnering with Cove Manila and launching this Thursday is Ikon, an entertainment company that aims to elevate Hip Hop/R&B culture and lifestyle-based events in the Philippines. With one of the biggest hitmakers of all time, Ikon is sure to make this show pump everyone up! Ticket prices begin at PHP 1,500. Doors open at 10:30pm.